Not only on Mother’s Day – but year-round – mothers should reserve time from their demanding role as family caretaker to take care of their own needs, advises Mia Redrick, author of the Amazon best-seller Time for Mom-Me: 5 Essential Strategies for a Mother’s Self Care and founder of Time for Mom-Me self-care support groups, which have been established for mothers across the country. They forget that it’s just as important to take care of themselves as it is to take care of their families. Moms who don’t care for themselves become stressed, cranky and depressed. Not only on Mother’s Day – but year-round – mothers should reserve time from their demanding role as family caretaker to take care of their own needs, advises Mia Redrick, author of the Amazon best-seller "Time for Mom-Me: 5 Essential Strategies for a Mother’s Self Care" and founder of "Time for Mom-Me" self-care support groups, which have been established for mothers across the country. Known as the Mom Strategist™, Redrick explains that mothers have learned to be responsible to their families and children without being responsible to their own needs. She cites a 2006 study published in the Journal of the American Medical Association that supports the adage “when momma’s not happy, nobody’s happy.” It found that children of depressed mothers were at 30 percent greater risk for depression than other children. •Scheduling self-care time daily and identify self-care activities that renew and energize, such as reading, meditation, exercise, a hobby or a bubble bath, and plug them into a regular self-care schedule. •Keeping the self-care plan simple and easy to maintain. This could include fitting in personal activities in the course of helping family. For instance, taking reading or knitting to a child’s athletic practice or music lesson or finding a creative way to exercise during a trip to the park with the kids. •Enlisting family’s help. This includes delegating household chores and asking for help in maintaining accountability for taking better care of themselves. •Going out on dates. Redrick recommends that mothers not only plan dates with their husbands, but also go out on their own or with friends. •Freeing themselves of guilt by understanding that self-care is essential to maintaining good health and being a better parent and spouse. “Self-care is as much for you as it is for the well-being of your entire family,” Redrick says. Redrick is CEO of Finding Definitions, LLC, which provides training, coaching, seminars, self-care resources and products for mothers. She founded Time for Mom-Me Self-care groups, and nearly 100 such groups have been established in 17 states to provide mothers camaraderie, accountability, sharing, encouragement and solutions. 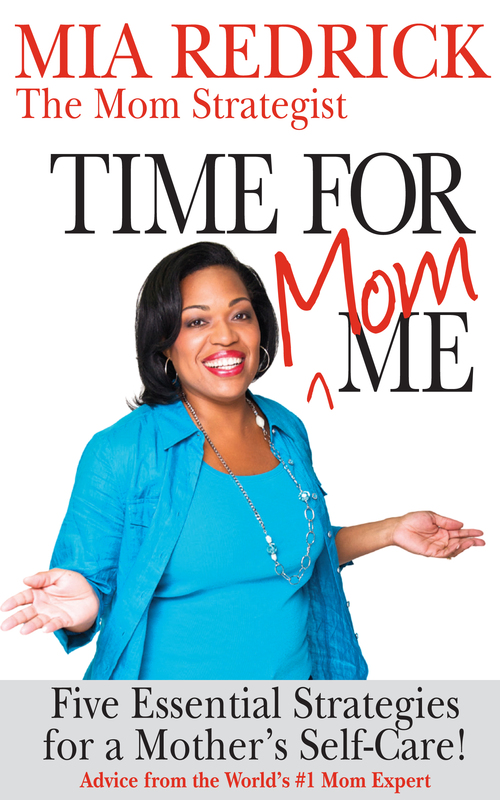 Through her website, TimeforMom-Me.com, based on her book, Time for Mom-Me: 5 Essential Strategies for a Mother’s Self Care, Redrick provides mothers self-care tips and online forums and support. 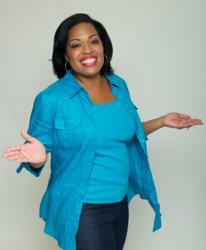 A speaker, personal coach, triathlete, former radio host and mother of three young children, Redrick has been featured as a parenting expert on Dr. Oz's Sharecare.com, Yahoo Shine, Essence, Woman's World magazine, the Washington Post, CNN.com, NPR, TwitterMom.com and Sky Radio for Delta and American Airlines. She also served as a columnist for Family Digest Magazine. Recently she won second place in the vlog – or video blog – category of The Baltimore Business Journal’s Biz Buzz Awards for Best in Social Media and in 2011 was featured in the Business Journal's annual "Enterprising Women" publication, also serving as a panelist at a celebration of the special edition. In March, she was a speaker at the first-ever Women of the World (WOW)-Baltimore Festival. For more information, visit http://www.FindingDefinitions.com and http://www.TimeForMom-Me.com, or follow her on Facebook and at http://www.twitter.com/Mia_Redrick. Mia Redrick is author of the Amazon best-seller "Time for Mom-Me: 5 Essential Strategies for a Mother’s Self Care"